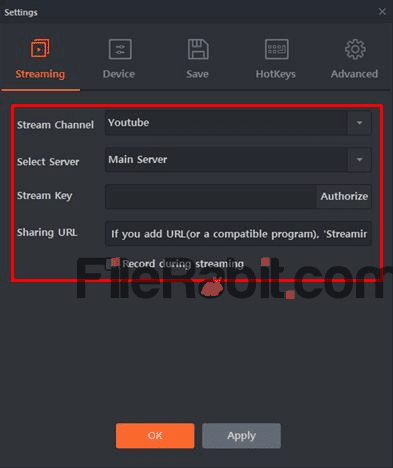 GOM Studio can turn your personal computer into broadcast channel to start real-time streaming for Facebook, YouTube and other social media services with dozens of useful tools. Simply, a professional and smart software used to customize broadcast video screen with advanced features. The program will install necessary codecs that were used to record and encode HD videos. However, the main screen will show 2 options with Streaming/Recording and Softcam as well. GOM studio has several functions that allows you to host your personal tutorials such as gameplay screens, software installation, OS installing, record webcam feed and more. It supports upto 1080p widescreen live broadcast video recording. It means we can record our regular functions like wedding, religious and others as well. Monitor your window screen, record your online tutorials for mobile or laptop repairing, record screen while playing games on computer and capture anything though your webcam to live stream on social media sites. 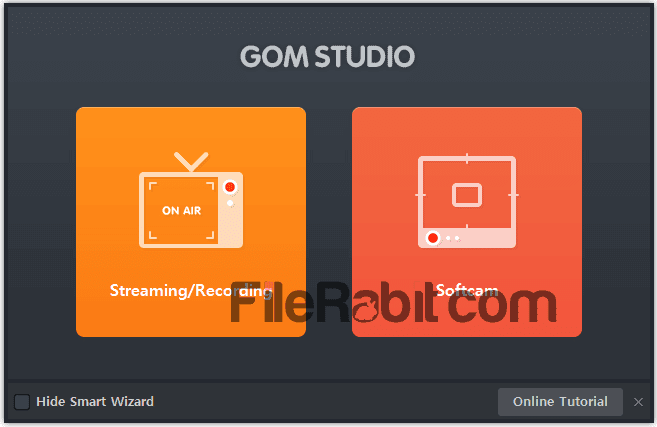 GOM Studio support many of social media streaming sites including YouTUbe, Facebook, Dailymotion, UStream, connect game and Twitch. Configure audio and video settings with advanced features like FPS, screen resolution, bitrate, channel quality, Microphone and Speaker config as well. You can find these settings in Settings button and then go to Device. 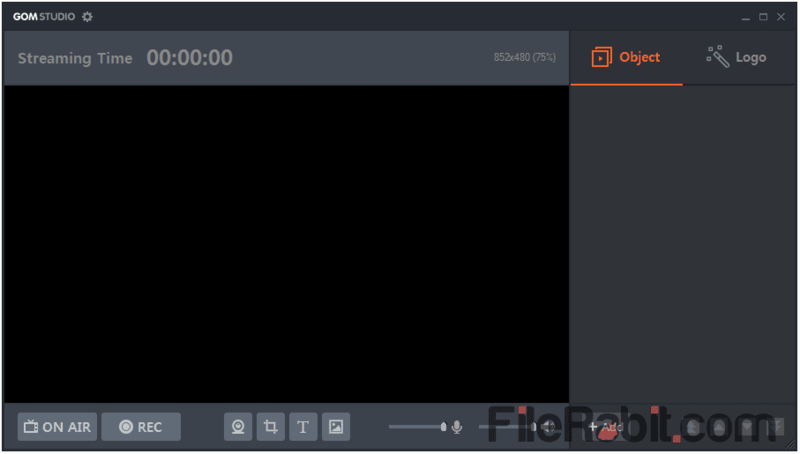 The interface is extremely simple with black background screen where you can easily record streaming alongwith audio and video functions. GOM Studio has a feature to host personal slides that has been created in any software e.g. Microsoft Office etc. Although, you can always stay connected with your broadcasters, viewers, followers or subscribers through GOM Studio live streaming features. The HD results may help you to make your content popular on YouTube, Facebook, Dailymotion and others.